In this tutorial, you will learn how to add rotating banners in your WordPress site to promote anything you want in your sidebar, header, footer, and content without touching code. Most website owners use advertising banners to monetize their site. However, you can also use banners to promote your products or services, add sitewide notices, and direct visitors to other areas of your website. The easiest way to add rotating banners, adverts, and images in your WordPress site is using a WordPress plugin. 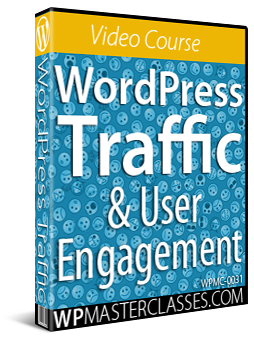 There are many WordPress plugins that you can use for this. In this tutorial, we’ll use a versatile plugin called AdRotate. AdRotate Banner Manager is a free and comprehensive ad management WordPress plugin that lets you easily place advertising banners anywhere on your site and manage your ads inside your WordPress admin area. The plugin lets you add unlimited ads and create unlimited ad groups. You can also add text and mobile ads, group ads together, display blocks of ads, display ads on specific posts or pages, track clicks and impressions, create ad schedules, and more. AdRotate also has a PRO version with advanced features like geo targeting, media/asset management, advertiser management, reports, premium support, and many more options. Installing the PRO version of the plugin allows you to store ad banners in a separate folder (e.g. ‘banners’) than where other files are stored in the WordPress media library. You can set the folder where your banner images will be stored in the plugin’s Settings screen. We recommend storing your banner images in a cloud storage service like Amazon S3. This way, you can easily manage and replace ad banners without having to log into your website. For more details, see our tutorial on how to set up an Amazon S3 account. Once the plugin has been installed and configured, you can start adding rotating banner ads to your WordPress site. We recommend doing a little planning before you begin. What type of banner ads do you want to display on your site and where will you display these? We recommend setting up your banner ad groups first before adding individual adverts. For example, let’s say you create an ad group to display 250×250 ad banners on your sidebar. You could then add 5 banners measuring 250×250 to this ad group and the banners will then rotate on your sidebar. This brings up the ‘Groups’ screen where you can specify the settings for your ad groups. Remember to click the ‘Save group’ button when done to add your new ad group and update your plugin settings and refer to the plugin’s tutorials, user manual, and documentation if you need help configuring ad group settings. Note: You can edit your group settings at any time (e.g. change the size of your adverts, or change the Mode from displaying one ad at a time to displaying ads dynamically or as an ad block), but you can’t change their ID number. After setting up your ad groups, you can add individual adverts and assign these to ad groups. This brings up the ‘Advert Management’ screen. (1) Name – Enter a descriptive name for your advert (e.g. size and topic of ad). This name is only visible to administrators (or your advertisers if using the PRO version of the plugin). (3) Preview – If you have entered your ad code and image details correctly, you should see a preview of your advert displayed here. (4) Banner Asset – Enter the location of your banner image here, or select the banner image from your banner folder. (7) Usage – Every advert you create is assigned a unique ID. This lets you add the banner anywhere you like in your content using a shortcode or on your sidebar using the AdRotate widget. (8) Create a schedule / Schedule your advert – Specify the start and end dates & times for your ads to run. (Note: This section looks slightly different depending on the plugin version you have installed). (9) Choose Schedules – The PRO version of the plugin lets you create multiple and more advanced schedules for each advert. This section does not display in the FREE version of the plugin. (10) Advanced – The PRO version of the plugin lets you specify different weights for adverts and optimizes support for mobile devices. (11) Advertiser / Geo Targeting – These are PRO version features. (12) Select Groups – Specify which ad group you want the advert to be assigned to. Note: You can edit your advert settings at any time, but you can’t change their ID number. Depending on whether you have AdRotate Free or PRO versions installed, you can duplicate, deactivate, delete, and archive ads, reset stats, export ad data to CSV, renew expired ads and change the weight assigned to adverts. In AdRotate Pro you can schedule adverts for multiple time periods. One schedule can be assigned to many adverts, allowing you to easily manage multi advert campaigns. Schedules can be active on certain days of the week or on certain hours of the day. The ‘Adverts’ screen stats is useful if you are split-testing ads, as you can see which ads in your ad groups are getting the most clicks and higher click-through rates (CTR). As mentioned earlier, when you create a new advert or ad group, AdRotate assigns a unique ID to each item. As you can see, the free version of AdRotate is quite comprehensive. If you plan to sell advertising on your site or need additional features and advanced control of your adverts (like Geo-targeting, multiple ad schedules, assign different weights to ads, etc. ), then consider upgrading to the PRO version of the plugin. We’ve also written a post about the WP Ad Center ad management plugin. Congratulations! Now you know how to add rotating banners and adverts in your WordPress site.